After losing the A's to Oakland in 1968, baseball quickly returns to Kansas City with the 1969 expansion Royals. 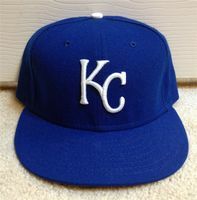 The new stadium was well underway, as it had been approved for the Athletics which left the city for Oakland regardless. 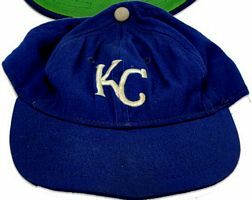 The team's classic first logo has hardly changed. Jersey and cap modifications have been minimal over the years. 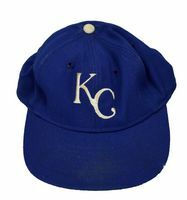 The logo has wide serifs at the top of the "K". Serifs on the "K" get smaller and it looks like they use Pro McAuliffe. 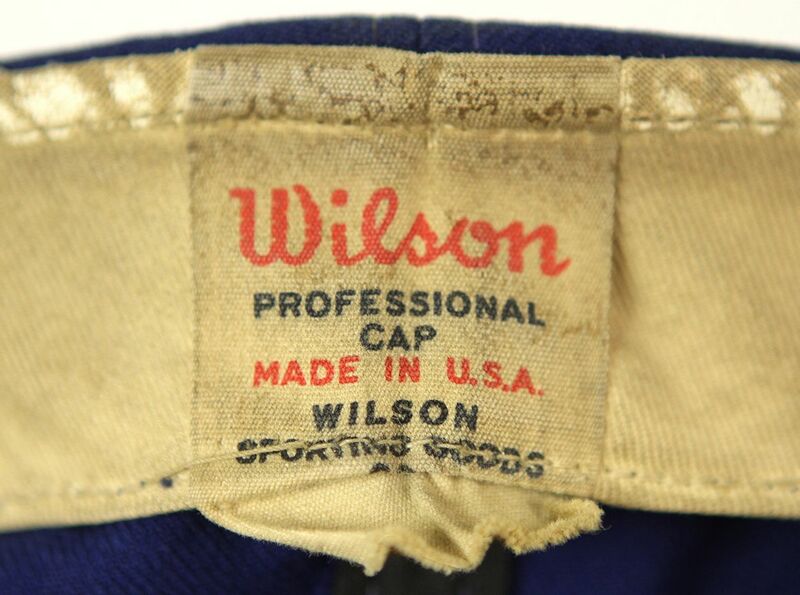 Serifs on the "K" widen again, and it's back to Wilson caps. 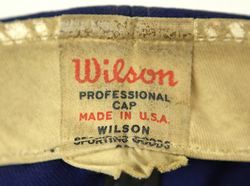 You can tell from photos the caps are Wilson by the low vent holes. 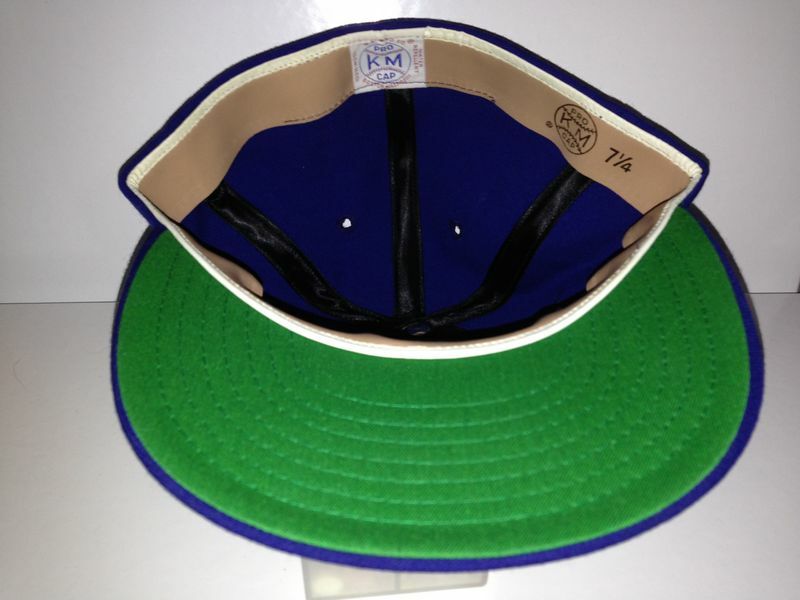 KM Pro probably worn around 1974. 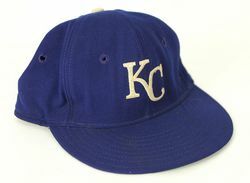 Around 1975 it appears all caps have the smaller serifs on the "K". 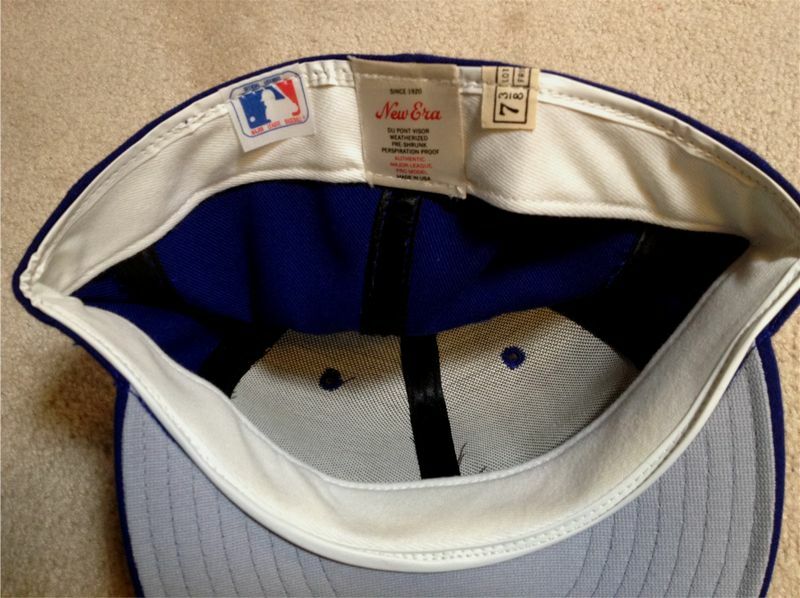 COLLECTOR ALERT! 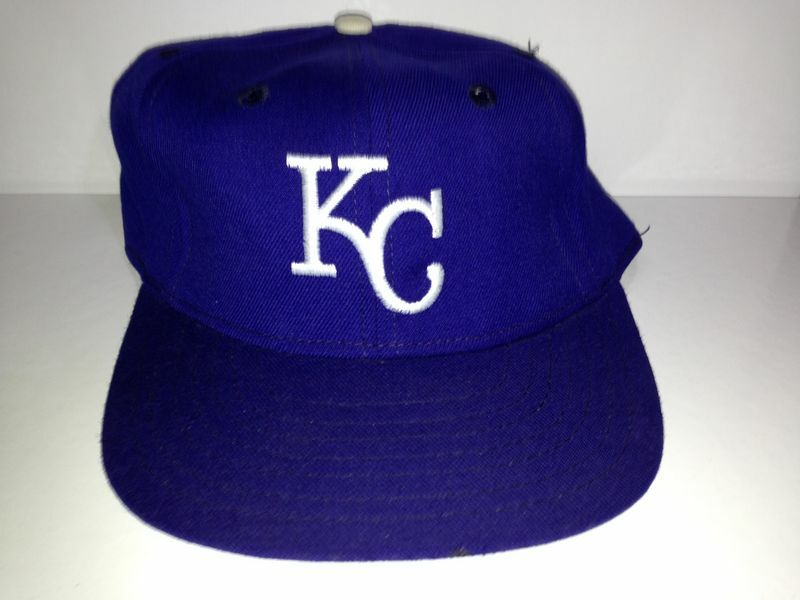 When KM Pro went under, Roman Pro took over some equipment and cap inventory after the 1976 season. 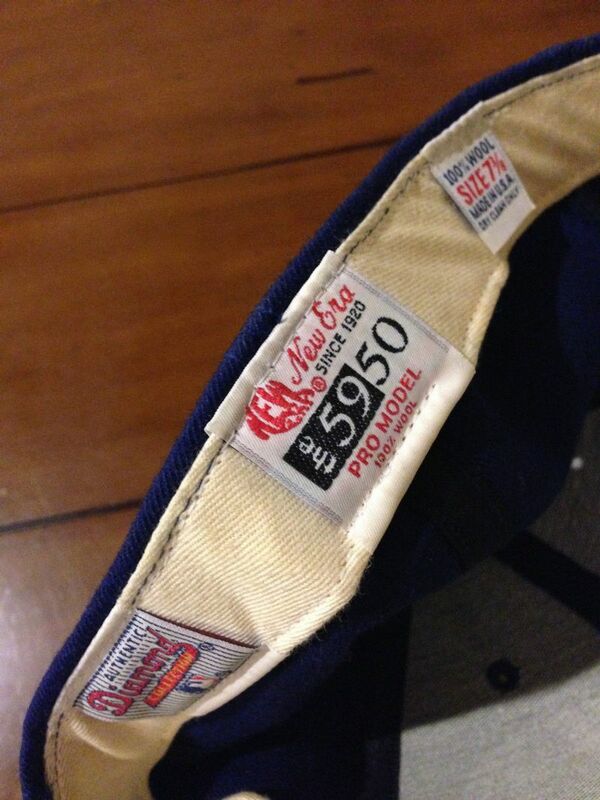 Here's a KM Pro inventory cap with a Roman label. 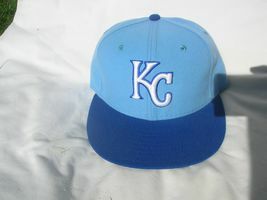 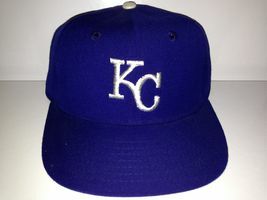 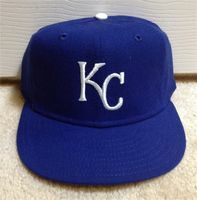 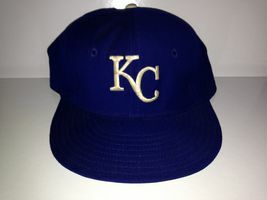 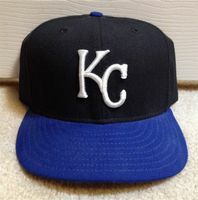 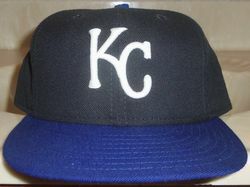 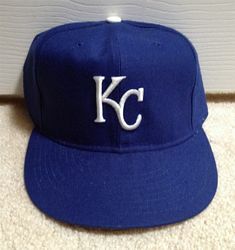 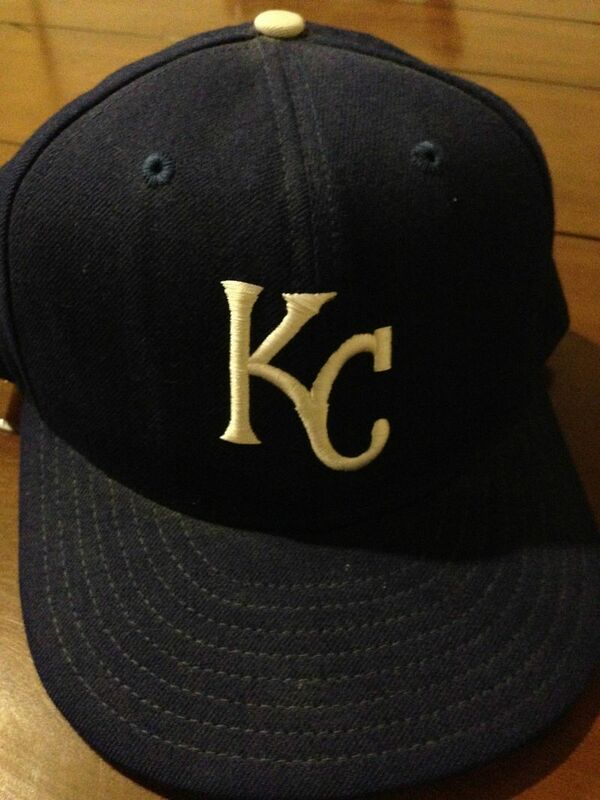 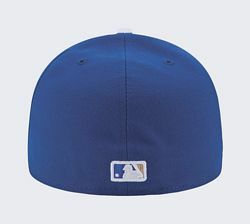 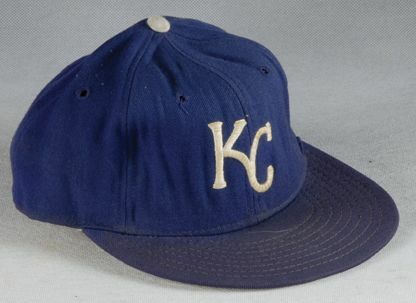 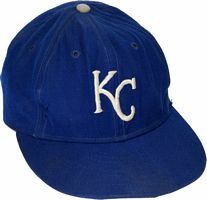 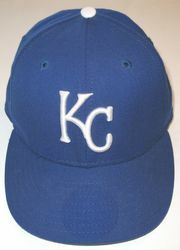 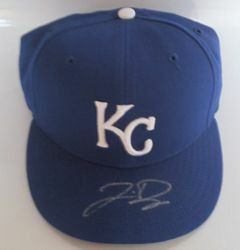 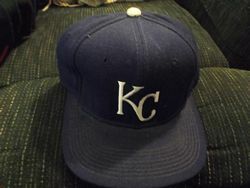 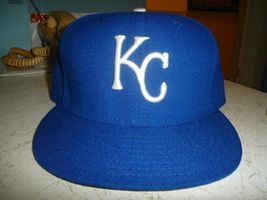 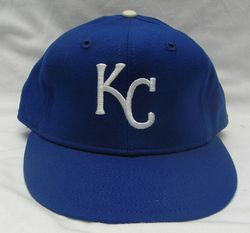 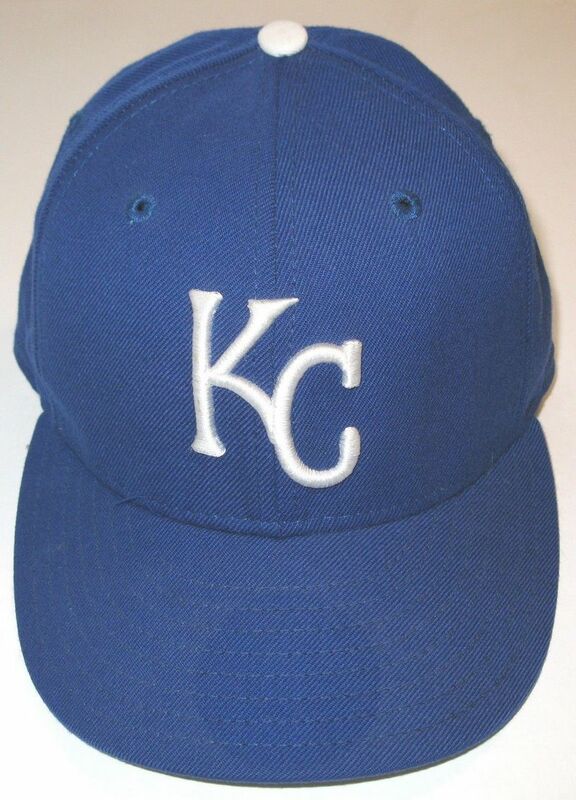 It has the early 1970's style large serifs, but to my knowledge the Royals never wore Roman Pro caps. Anyone have other info? 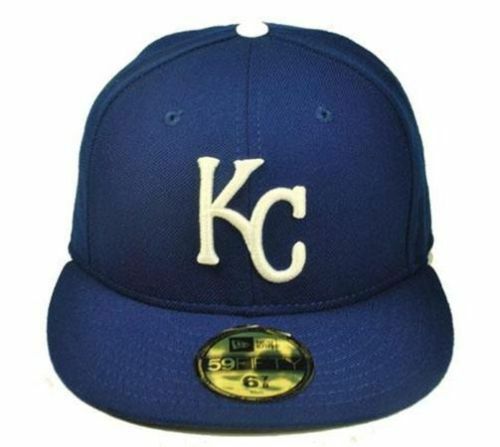 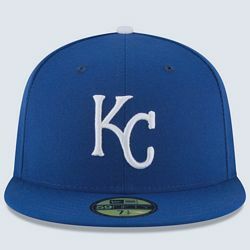 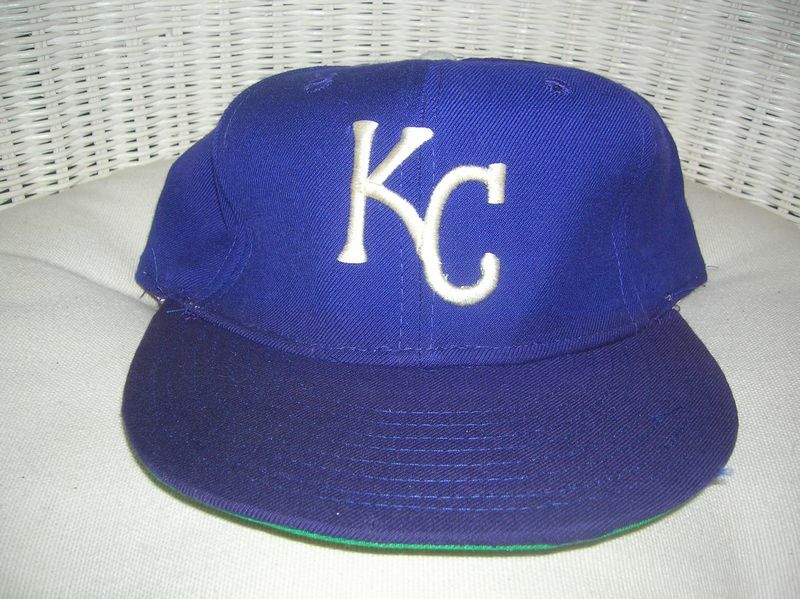 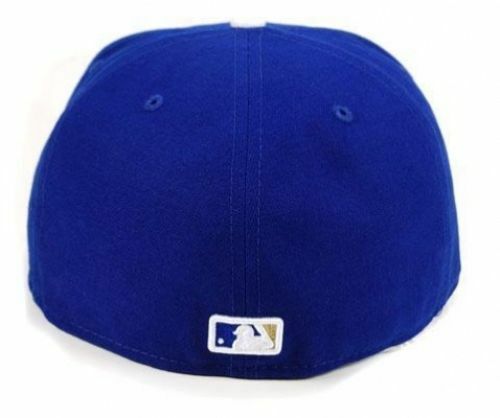 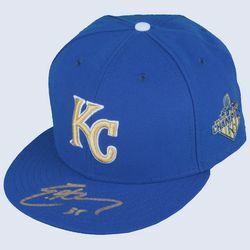 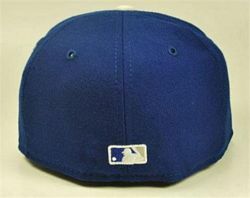 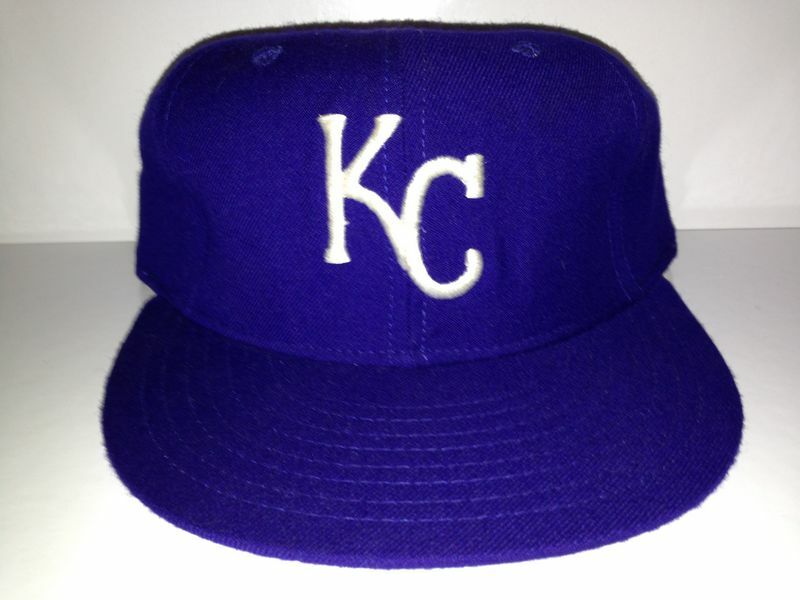 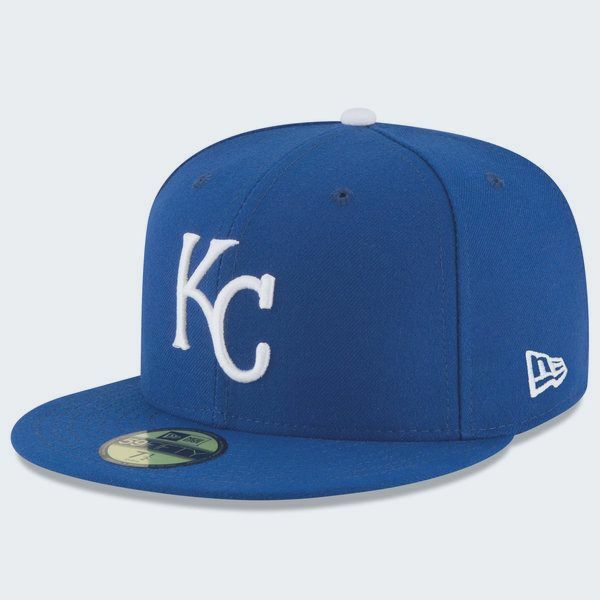 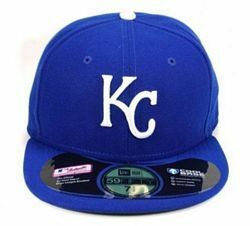 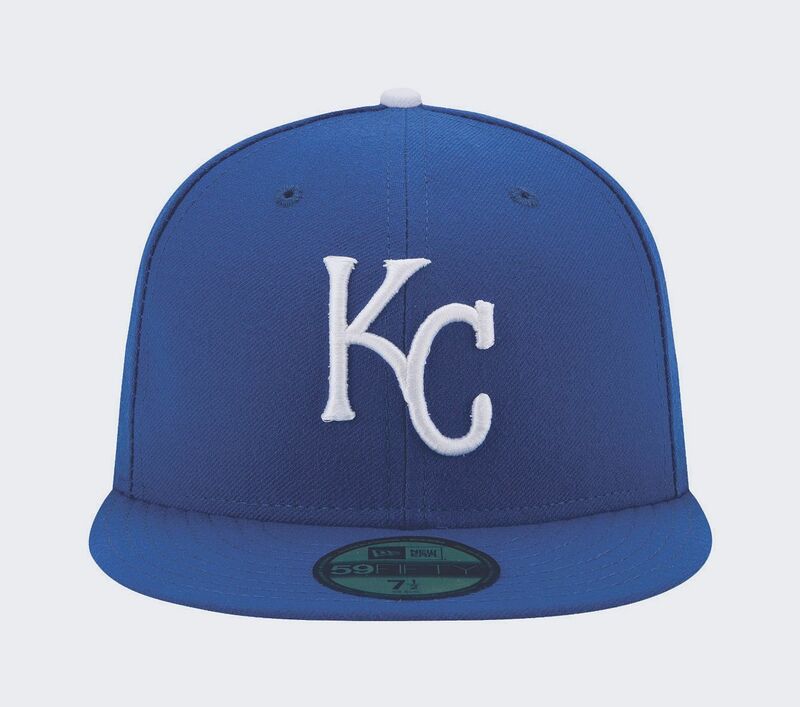 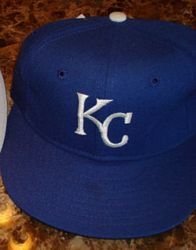 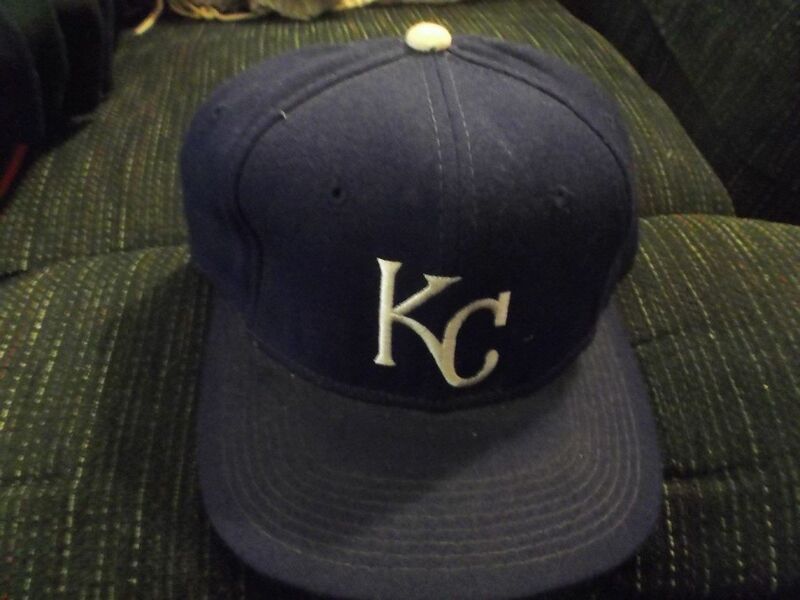 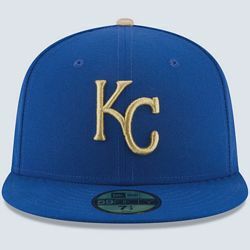 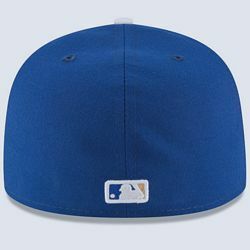 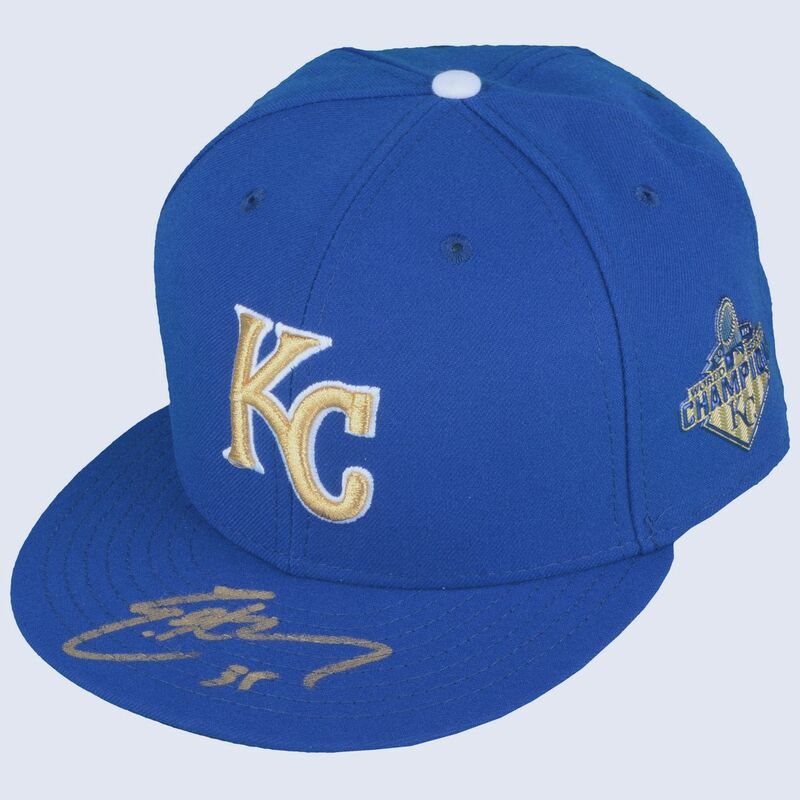 By 1977 the Royals are wearing New Era caps. Around 1984 caps get grey undervisors. The serifs on the "K" widen sightly. 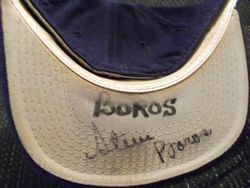 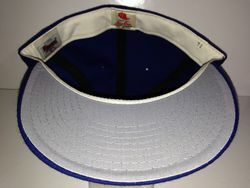 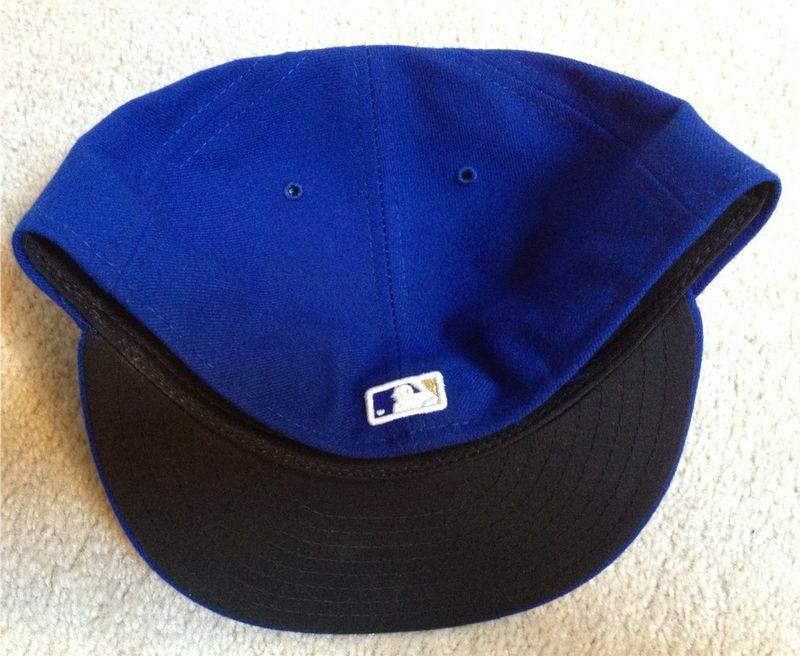 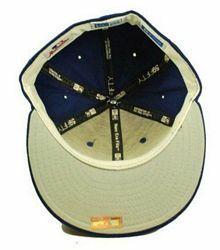 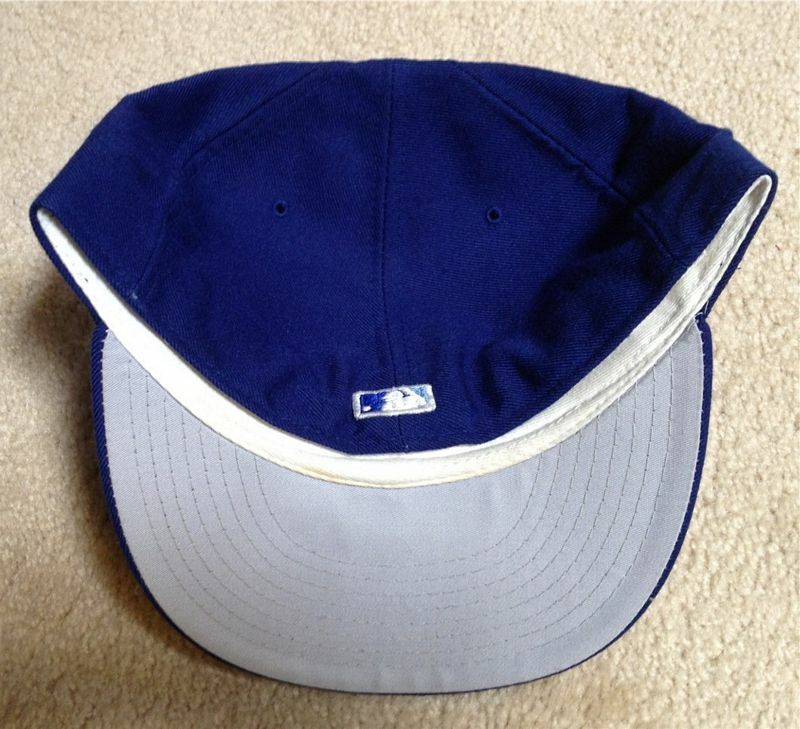 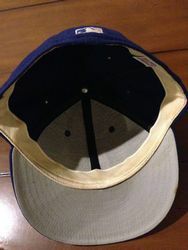 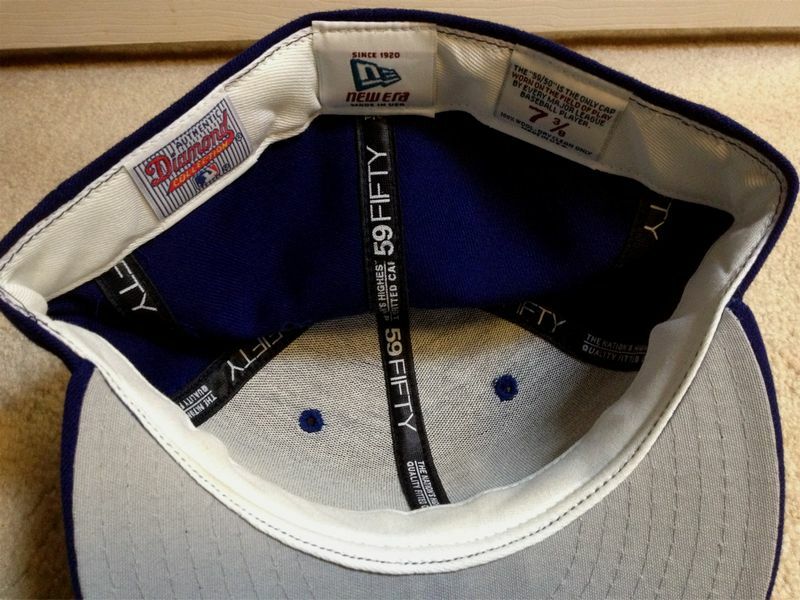 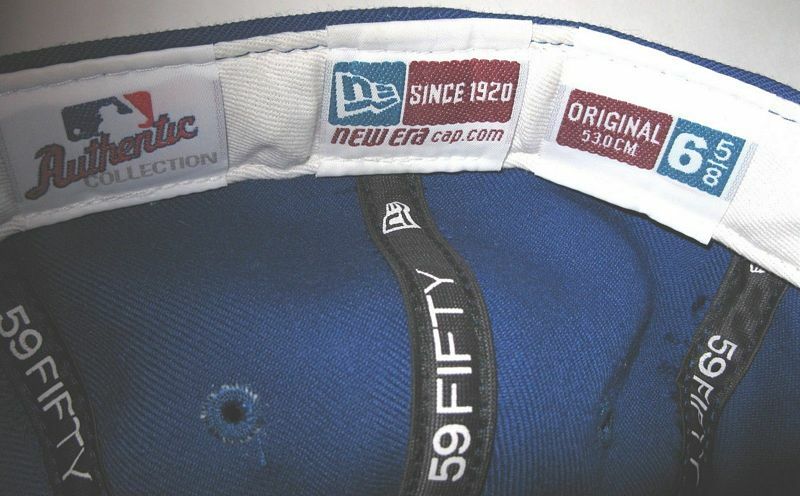 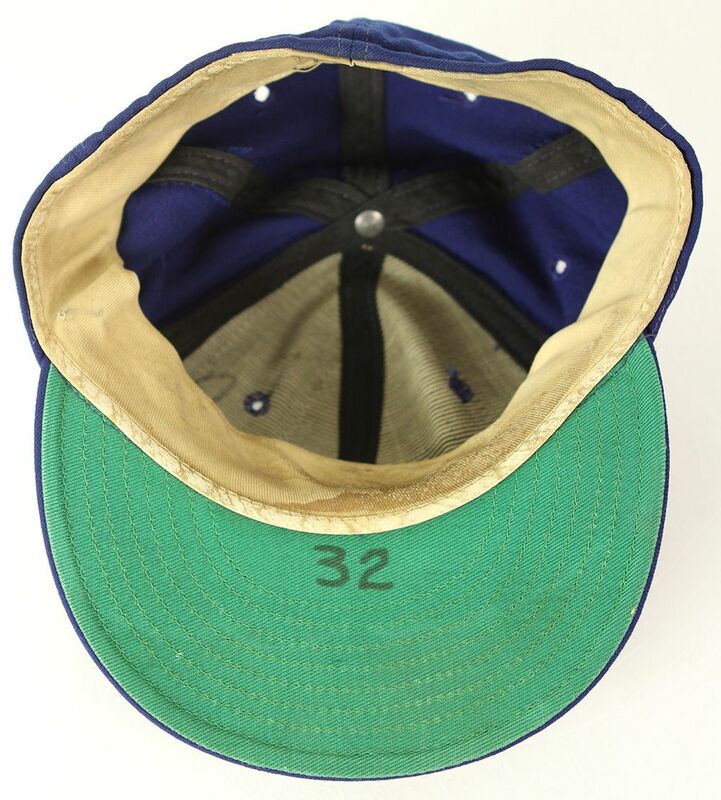 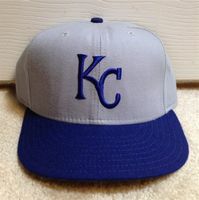 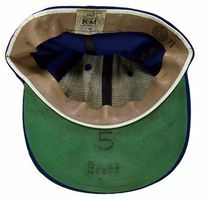 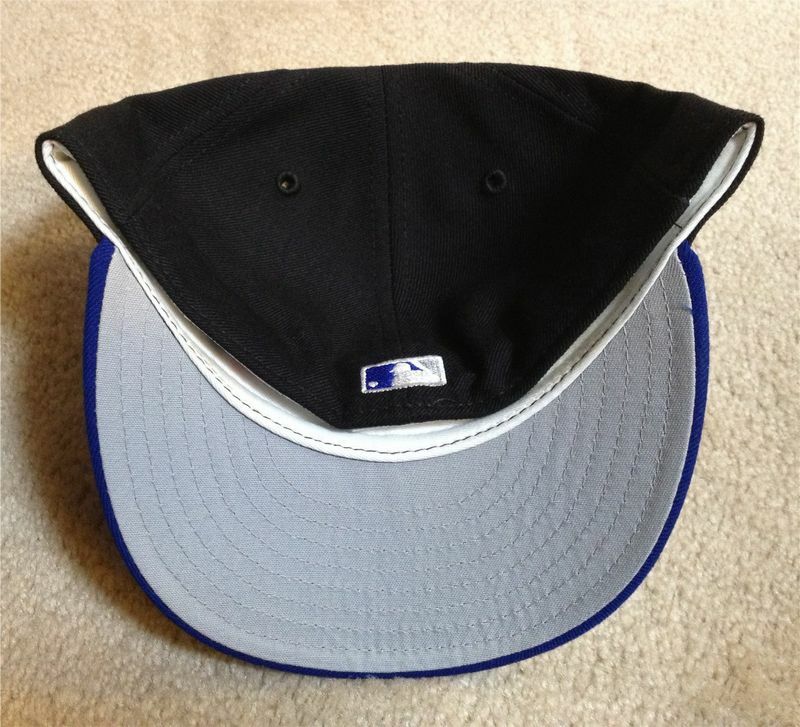 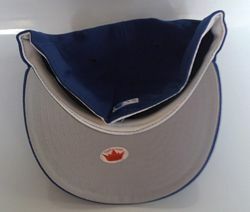 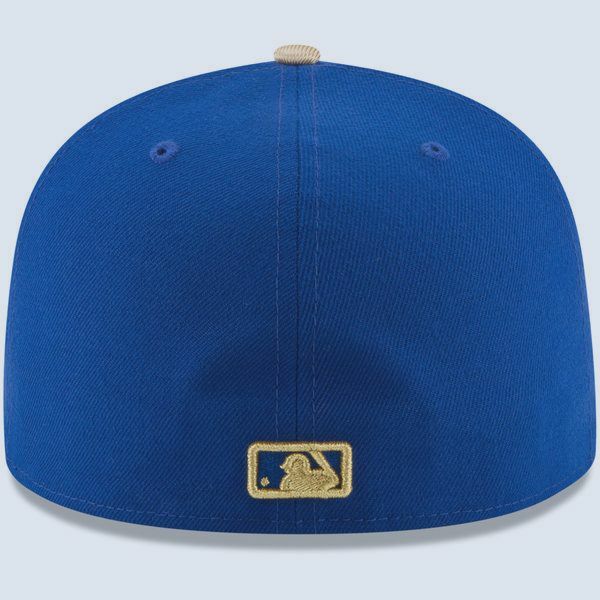 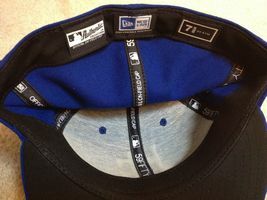 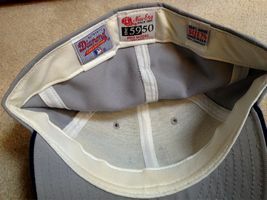 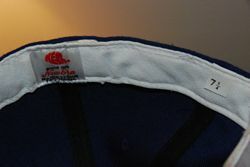 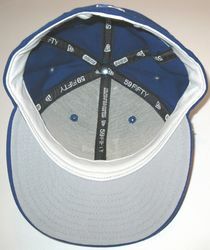 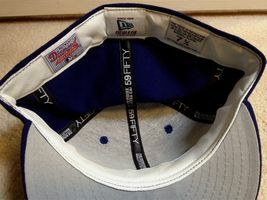 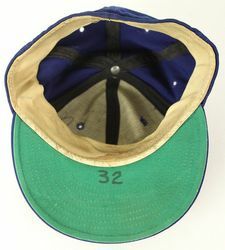 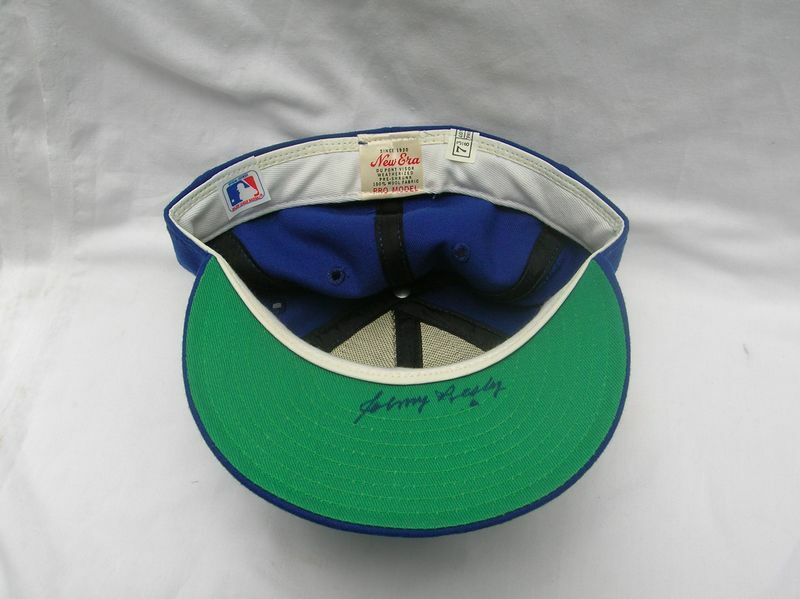 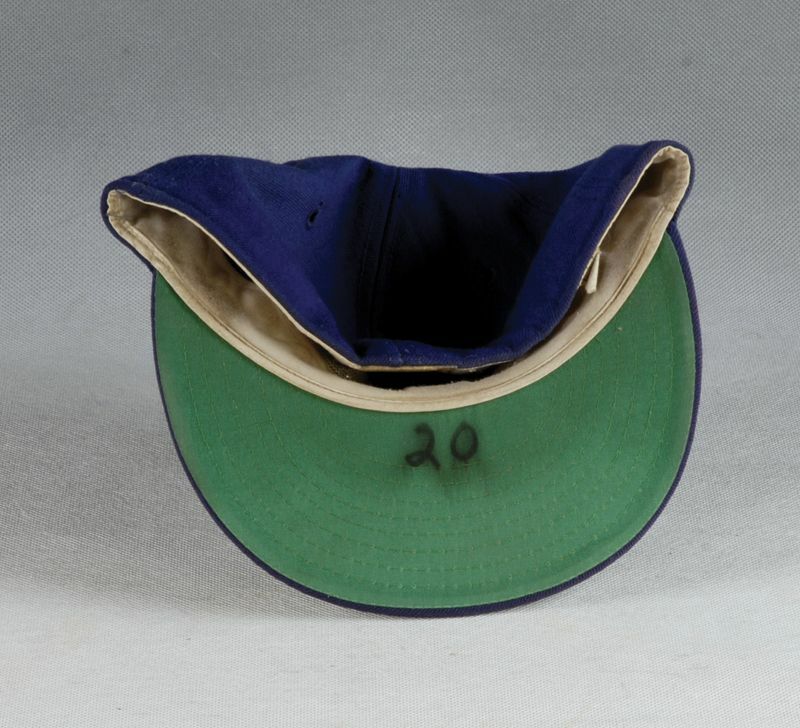 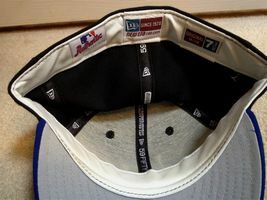 An alternate grey cap is added in 1995. 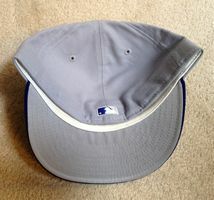 Grey caps are retired after 1999. Black joins the colorway. 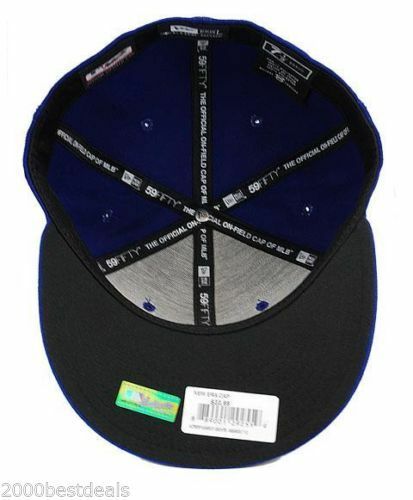 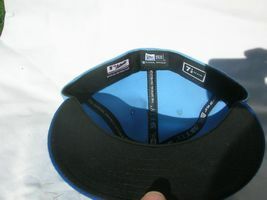 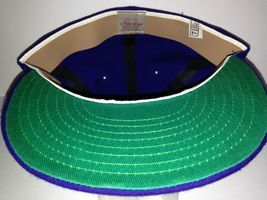 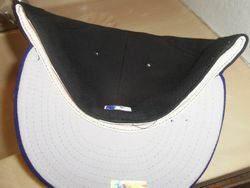 Black crown/blue bill caps are worn on the road. The black crown cap is retired. 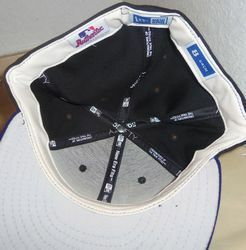 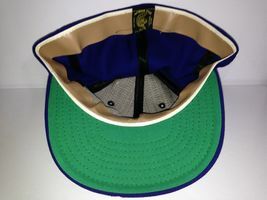 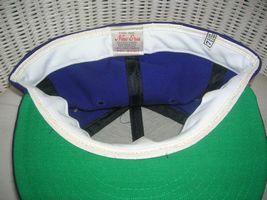 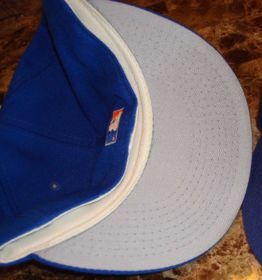 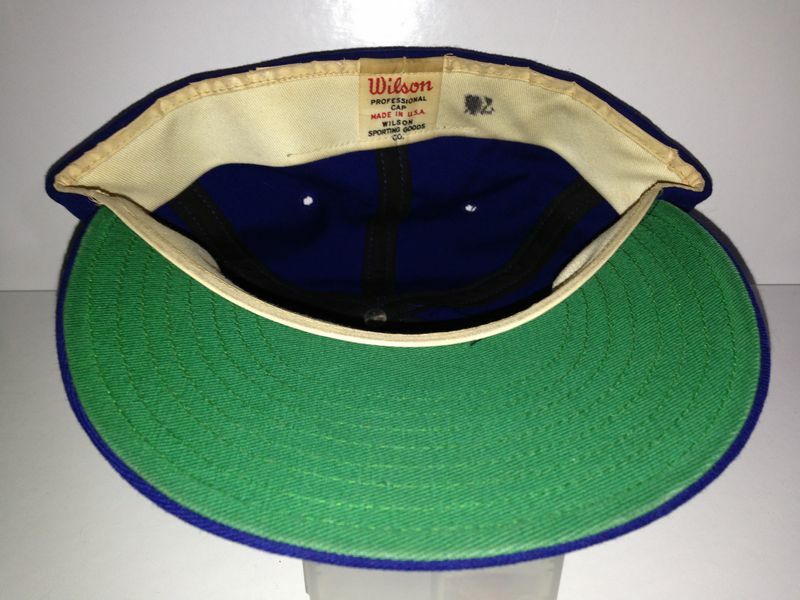 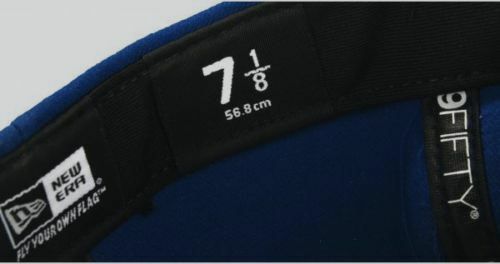 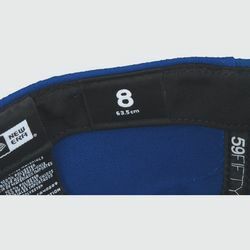 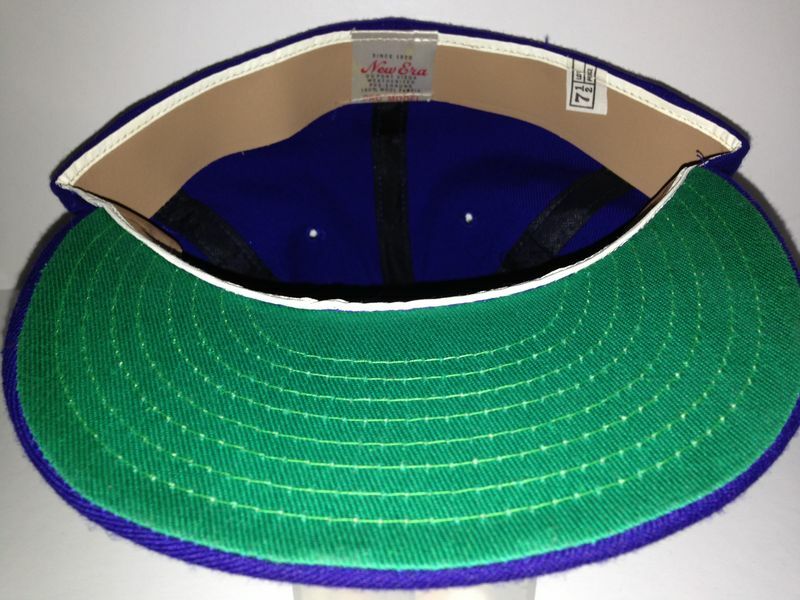 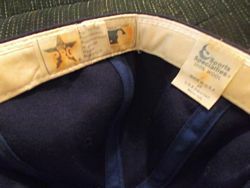 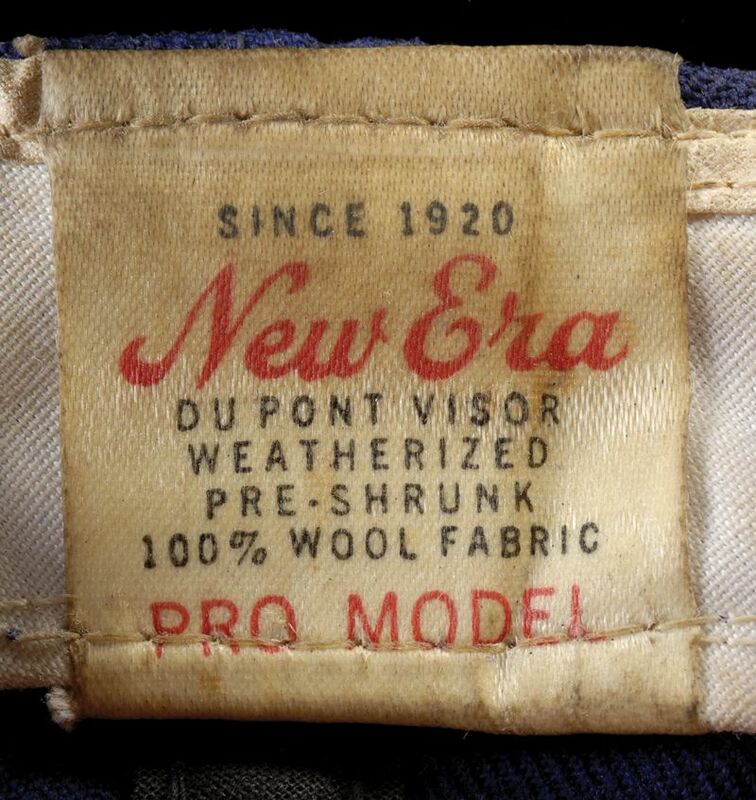 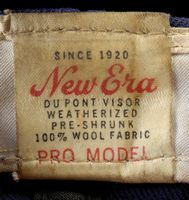 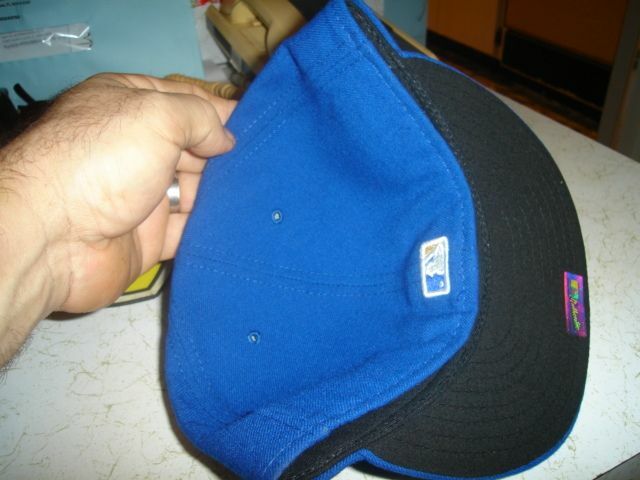 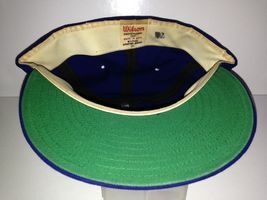 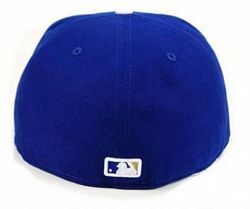 Polyester caps with black underbrims. 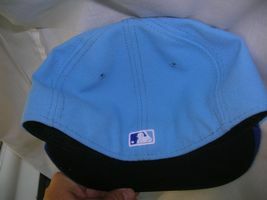 A powder blue alternate cap is used with the powder blue alternate jersey. Gold outline added for use with the World Series celebration white jersey. 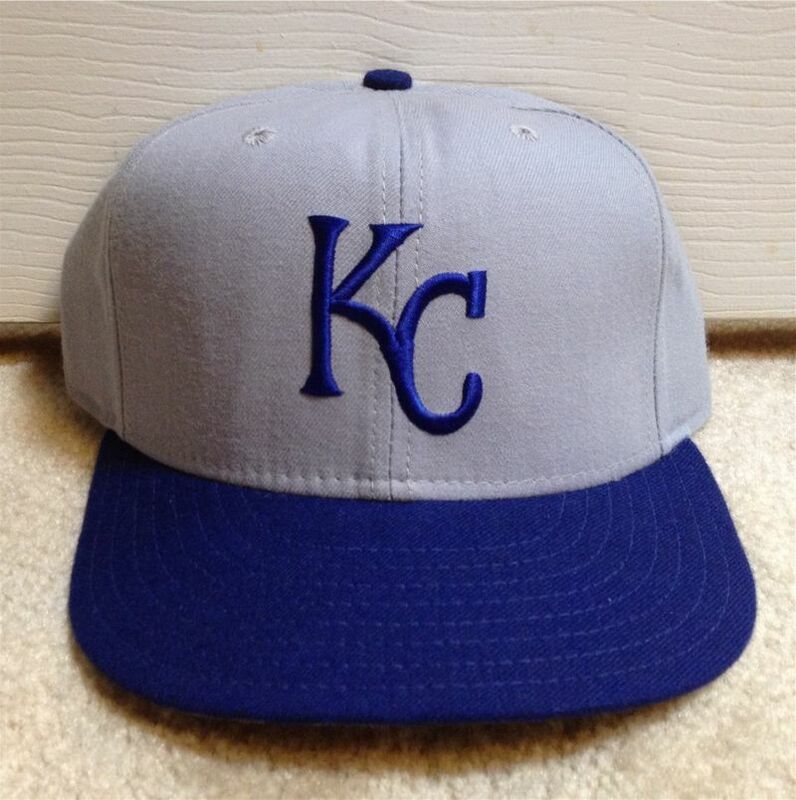 it turns into a Friday alternate. 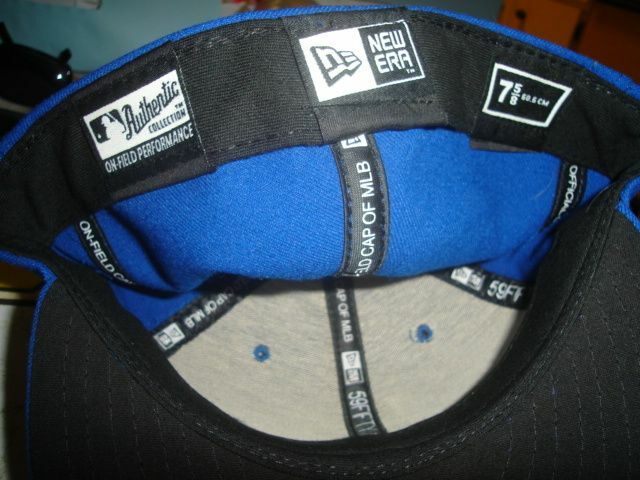 The pathetic New Era advertising flag gets slapped on the left side of all caps thus ending my purchasing of caps made after 2016. The white trim is removed from the gold logo cap for use with an official alternate home jersey.